Have you ever found something a little bit off the wall and fallen completely head over heels in love? Something so unexpected that you even surprised yourself? 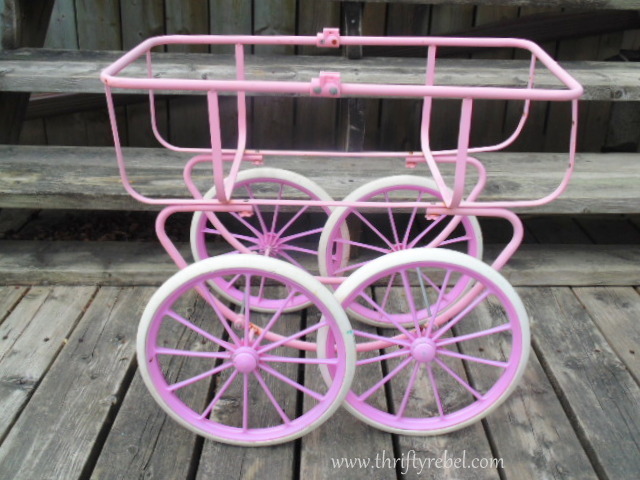 That’s what happened to me when I saw this large pink vintage doll carriage frame at the dump. I was so excited that not even John (if he had tried, which he didn’t because he’s the best enabler ever) could have talked me out of bringing it home with me. I didn’t even think about what I was going to do with it. Honestly, I didn’t even care. I didn’t care that it was plastic, and I didn’t care that it was a little bent on one side. I didn’t even care that it was missing its whole top cover. Maybe that’s what made me love it more. 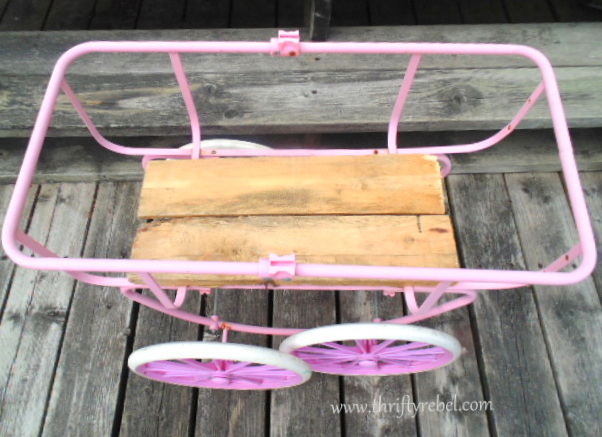 Somehow this discarded doll carriage frame had touched my heart, and I was just living in the joy of the moment. I’m allowing myself to do that these days. Just live in the joy of the moment. Any moment. Even a thrifting moment. Life is just too short to not embrace what brings you joy. I know full well that some people will think I’m crazy for rescuing what was left of this carriage. But one person’s joy is another’s person’s yuck. lol. And I’m perfectly OK with that. So I embraced my joy without questioning it, or rationalizing it, or adultifying it, and I brought this pretty home. 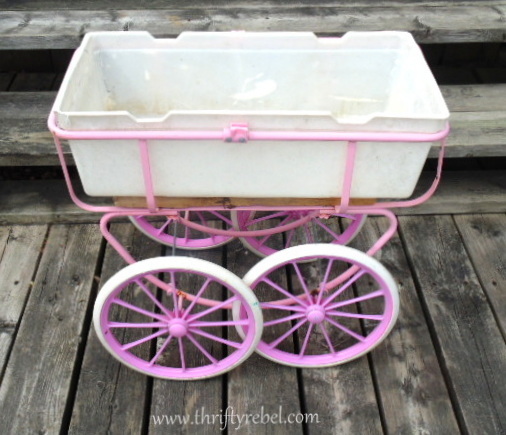 The only thing I knew for sure was that this pink carriage was staying as is. And then what to do with it just kinda fell into place. 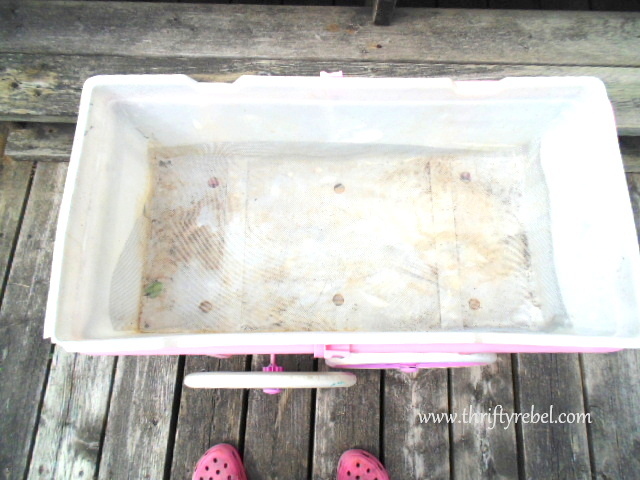 I found this plastic bin in my greenhouse and it fit perfectly inside the doll carriage. I needed to add some supports at the bottom to fill in a gap under the plastic bin. I just sawed a couple of pieces of wood from our stash. See how it fits so nice and snug. I added 3 large pots of purply/blue pansies, and some sweet alyssum all around the edge. Here it is almost finished, but I can’t decide what to do next. I really want to do something with the plastic bin to dress it up, and to hide the wood supports. I have a few ideas, but I’d love some suggestions. I hope to finish it up next weekend. So what do you think? What would you do? And don’t dare say you’d take it back to the dump. lol. And while you’re pondering how you’d finish it off, here’s a pic of our sweet ornamental Cherry tree in full bloom last week. Mother Nature is the best designer. I think a little ruffled skirt round it like there would have been had it been new would be cute. I had to laugh, as soon as I saw it I thought planter…great job! Thanks Veralynne! A ruffled skirt would be very sweet. I'll have to definitely give that some serious thought. How lucky of you to find such a wonderful old carriage. I absolutely love that as well as your flowers. 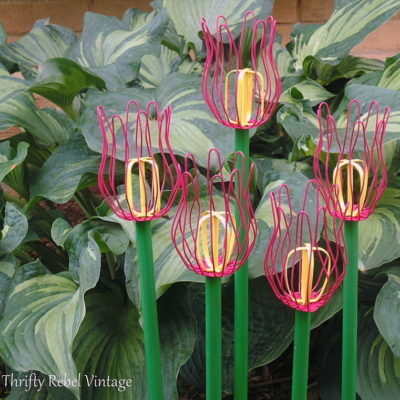 What a lovely piece to add to your yard / garden. How pretty that would be using as a display for a baby shower. 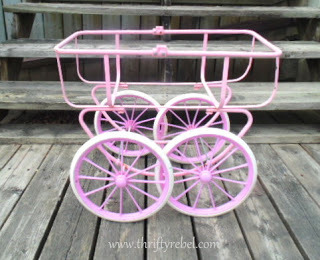 For the plastic bin; I think, if it where me, I would spray paint the bin in some sort of textured spray paint just to add texture to the piece and maybe paint the boards pink to blend in more with the carriage. The carriage looks adorable! 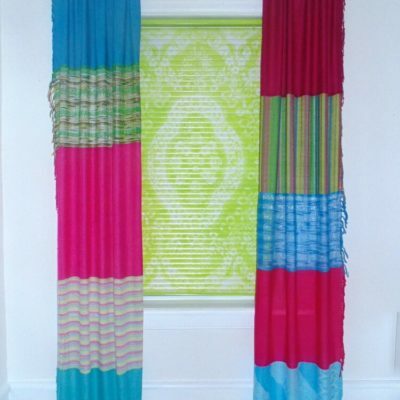 I would paint the wood and I like adding a ruffle skirt, as suggested. Whatever you do I'm sure it will totally rock! Oh, they would look beautiful in this carriage for sure. I think it was destined to be a planter for sure. 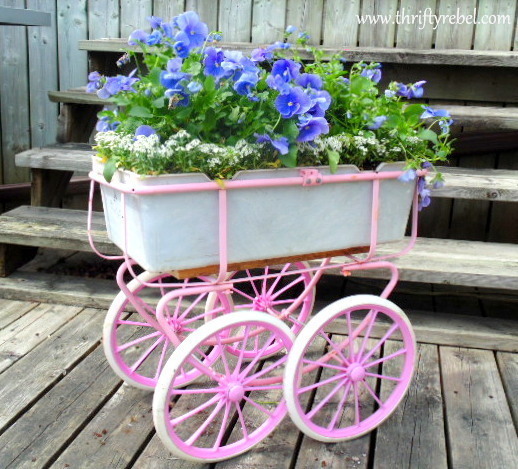 I love seeing the pink frame so maybe decoupage the plastic container and wood with something simple. Such a lucky find! Thanks so much for this wonderful suggestion. I have never decoupaged anything for the outdoors before. That might be fun to try. 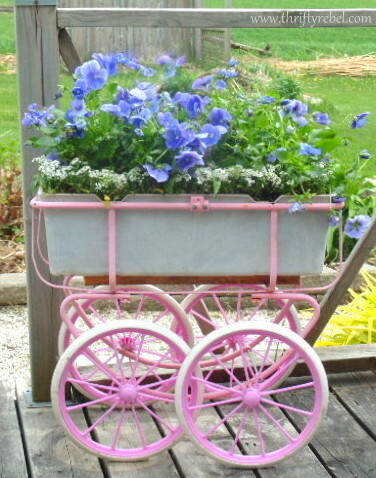 Wow the carriage looks so pretty as a planter for your flowers! I hope you have a nice Monday! Super sweet Tuula. 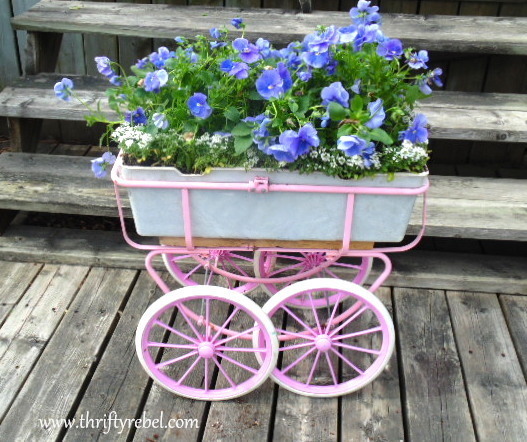 Love this as a planter. Have a great week. Love it and yes it's the perfect planter. Pink minds think alike!! Love your new planter! I have no clue what to do to cover it all up! Love to see what you come up with. I love it! I would definitely spray paint the plastic some other fabulous color – I'm really liking pool blue right now :0 – I would also paint the wood pieces the pink. I love the simplicity of the project – great job! Thanks Miss Paula! Spray painting is another great idea. It's amazing what a little paint can do. Thanks ARod. They certainly do. Love, love, love this! Great repurpose! 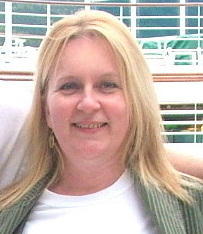 Thanks Sheila! A tray table certainly could work. What a wonderful idea. I would say that is a great find, and your plants look terrific in them. The only thing I can think of is to add some moss around the bottom edge to hide the wood, you could even cover the whole thing if you wanted too. 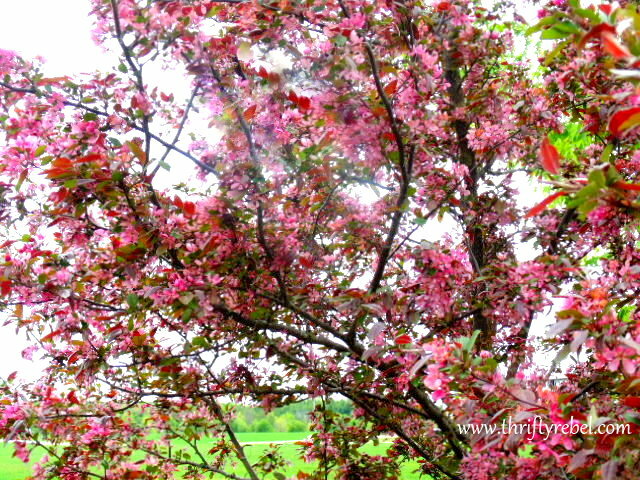 Your tree is just beautiful!! Oh Tuula, you are so cute! I truly believe it was calling your name too….it's absolutely perfect for you! I love the flowers in, my friend. Thanks for sharing with Roses of Inspiration. Happy weekend! What a treasure! I love what you did with it, so very clever. I like the idea of putting moss around it, maybe even some burlap? Thank you for sharing at VIParty. That is just the cutest treasure. I love how you've used it with such wonderful flowers. And I so enjoyed reading that you live in the moment. Great job! Thank you so much Jo! I appreciate you stopping in and leaving a comment.